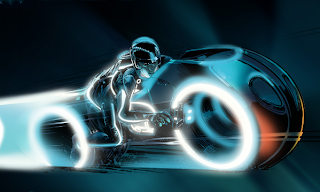 Popularity of the movie Tron Legacy seems to have been also affecting the virtual world on the internet and even now said to have entered the hardware acceleration grid HMTL5 through Internet Explorer 9. Based on the latest Disney Tron there was made a site's digital book Legacy, which is an in-depth project for a graphic novel analogue to the next level with the way modern web standards which made possible through a collaboration between Disney Publishing House, Microsoft and Vectorform. The developers and designers who have been amazing in Vectorform digital top uniting flavor Tron comic book in less than a month, so depending on HTML5 and power of hardware acceleration that carried IE9 HTML5. "Most comics online experience stagnant," explained Dario In Zanni, a manager of digital media development at Disney Publishing. "We wanted something more interesting, about the site is able to interpret the actual experience of reading comic books." "They really are people with an interactive environment and not just hoping to produce a web site alone," added Ken Disbennett, art director for Vectorform, who worked closely on the project. "When a character was destroyed on the glass wall, you can see and feel the effects of broken glass particles. And frankly, we could not make it without the presence of hardware acceleration in Internet Explorer 9 or the use of plug-ins ". "The Tron Project: Legacy is the largest example of what happens when Internet Explorer 9 able to help developers, irrespective of his imagination," said Ryan Gavin, senior director, Internet Explorer, Microsoft. "This is a good example in the use of existing Web." In addition to HTML5 <canvas>, Vectorform also emphasize the use of PNG / 8 is a version of the old format best Portable Network Graphics, which can be combined together with the RGB and Alpha channel 8-bit the same. As featured in Disney's Tron: Legacy, there are several layers of content at the top of the others, but still can be synchronized and integrated perfectly. Therefore, to create Disney's Tron: Legacy is certainly in dire need of consistent work. And Giorgio Sardo, a Senior Technical Manpower HTML5 and Internet Explorer that has shared information about the details behind the creation of the system.